A breakthrough came when McGowan Institute researchers focused on the support of patients with an implantable VAD. 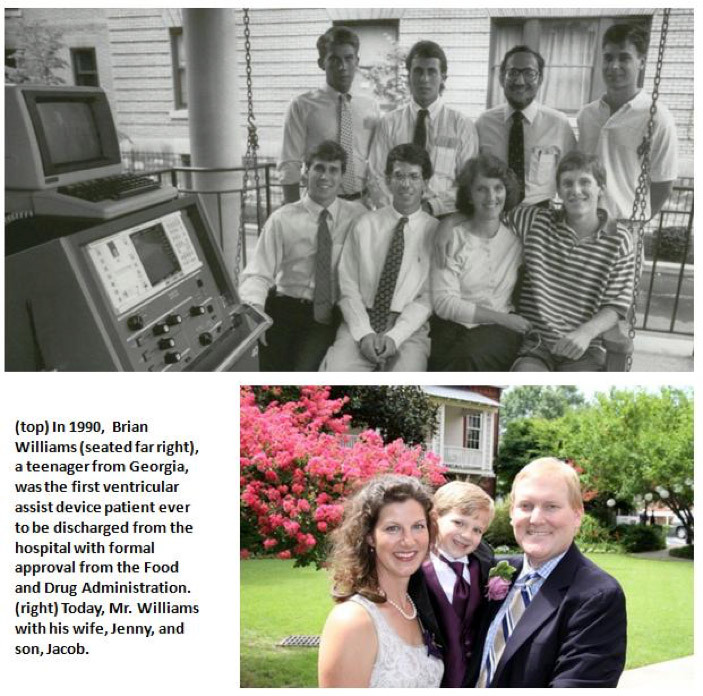 Also, these engineers and clinicians were among the first in the world to visualize the VAD as a resource for destination therapy—where the VAD is intended to be the final therapy, vs. serving as a bridge to a transplant for people awaiting a transplant. Today, in certain select cases, VADs can help patients recover from heart failure, making transplantation unnecessary. Scientists and clinicians at the McGowan Institute for Regenerative Medicine have advanced VAD technology and use, helping to extend and improve the quality of life for people around the globe. VADs developed in collaboration with industry partners at the McGowan Institute are routinely used across the world and have evolved to the point that they are now used as end-stage therapy in many patients, not just as a temporary bridge to transplantation. Today, the UPMC Artificial Heart/VAD Program has achieved 379 cumulative years of circulatory support in 963 heart failure patients since October 1985. Flow cytometry is a laser-based, biophysical technology employed in cell counting, cell sorting, biomarker detection, and protein engineering, by suspending cells in a stream of fluid and passing them by an electronic detection apparatus. It allows simultaneous multiparametric analysis of the physical and chemical characteristics of up to thousands of particles per second. 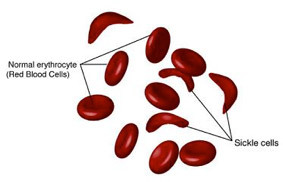 Flow cytometry is routinely used in the diagnosis of health disorders, especially blood cancers, but has many other applications in basic research, clinical practice, and clinical trials. A common variation is to physically sort particles based on their properties, so as to purify populations of interest. The McGowan Institute for Regenerative Medicine Flow Cytometry Laboratory is ready to help YOU with your research efforts. Do you need to: Purify samples? Characterize complex samples? Define a rare subpopulation? Examine cellular function? Study proliferation or apoptosis? Design a flow experiment and need help? State-of-the-art flow cytometry is available to ALL researchers across the University of Pittsburgh campus. Instrumentation and experienced staff are available to assist users in the understanding, development, and usage of multi-parameter flow cytometry in order to further their research. Contact Lynda Guzik, the Flow Cytometry Lab Manager, for more information: 412-648-8660 or guzilj@upmc.edu. ECM-based biomaterials have been shown to promote functional tissue reconstruction by inducing stem/progenitor cells recruitment, proliferation, and differentiation, and by influencing the inflammatory response, mainly via modulation of macrophage activity. The presence of cells expressing both stem and macrophage markers in the area of tissue remodeling in animals treated with ECM-based biomaterials and the ability of these cells to differentiate along various lineages (neurogenic, adipogenic, and osteogenic) is of great interest. Fluorescence-activated cell sorting (FACS) analysis is instrumental in our studies. We have 6 cell markers in which we are specifically interested, and flow cytometry has allowed us to move forward efficiently and rapidly. We have been able to quantitatively analyze the expression of all the 6 markers simultaneously, even when present in relatively low cell numbers. Ms. Guzik helped in the creation of a 6-color panel of antibodies and spent many hours helping to optimize a protocol that allows for analysis of surface, cytoplasmic, and nuclear markers. Ms. Guzik’s expertise was influential in moving the project forward. 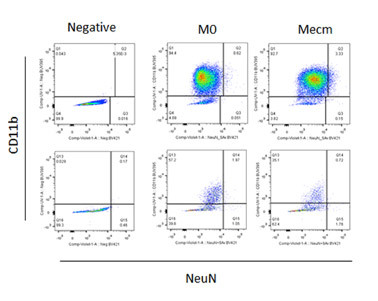 Figure:M0 and Mecm macrophages before (upper panels) and after (lower panels) a selected treatment were stained for the viability dye eFluor780, CD11b:BUV395, iNos:APC, CD206:BV605, NeuN:biotin and streptavidin 421, β-III-Tubulin:Alexa488, and GFAP:PE. The figure illustrates the analysis of CD11b and NeuN expression by the cell population of interest. Contact Lynda Guzik, the Flow Cytometry Lab Manager, for more information on how the lab might help YOU: 412-648-8660 or guzilj@upmc.edu. Injected growth factors show some promise, says Dr. Wang, but they quickly break down or diffuse out of cardiac tissue. So Dr. Wang and colleagues devised a special trick to deliver a growth protein trapped within a hydrogel. The gel protects the protein, keeps it at the heart attack site, and supports the damaged walls of the heart right after a heart attack. They used a tissue-signaling protein called Sonic hedgehog that is known to protect cardiac cells and help them grow by inducing the formation of blood vessels. The researchers mixed it with negatively charged heparin, which is a widely used anticoagulant, and a polycation, which attaches to the oppositely charged heparin molecules to form micrometer-sized liquid droplets. Next, they combined the droplets with a polyethylene glycol gel. The gel targets the signaling protein to damaged tissue, Dr. Wang says, because it degrades in the presence of an inflammatory enzyme secreted after a heart attack. If the material shows success in humans, Dr. Wang imagines that doctors could deliver it using a catheter or through a small opening in the chest wall. Medical advances in the field of Regenerative Medicine are accelerating at an unprecedented rate. Biological technologies such as stem cell transplantation, scaffolds, and artificial devices are now being tested in clinical trials throughout the world. With functional outcomes as the ultimate goal of these biological therapies, it is clear that the future of regenerative medicine is tightly intertwined with that of rehabilitation, thus opening up a novel population of patients to clinicians and exciting new areas of investigation for rehabilitation scientists. 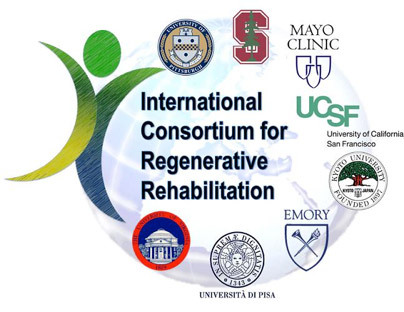 For the past 3 years, the University of Pittsburgh in collaboration with the Veteran’s Administration in Palo Alto,California, have administered a Regenerative Rehabilitation Symposium that focuses on fusing regenerative medicine and rehabilitation science, integrating laboratory-based approaches to enhance regeneration with clinically available rehabilitation approaches. The event has drawn over 120 participants in each of the last 3 years and is expected to continue to grow as this novel field expands. The development of the CLC is ongoing. Others are invited to play a role on the Council and in advancing the field of Regenerative Rehabilitation. Interested parties should contact McGowan Institute for Regenerative Medicine executive management team member Patrick Cantini at cantinip@upmc.edu for more information. 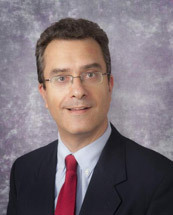 Bernhard Kühn, MD, a scientist at the Richard King Mellon Foundation Institute for Pediatric Research at Children’s Hospital of Pittsburgh of UPMC and a McGowan Institute for Regenerative Medicine affiliated faculty member, is being awarded a $200,000 grant from the Children’s Hospital of Pittsburgh Foundation. The grant is being provided from the Fund for Genomic Discovery, which was raised by the Foundation’s Research and Education Program Committee. Established in 2012, the Research and Education Program Committee promotes the awareness of funding needs and priorities of physician-scientists at Children’s Hospital. Through various fundraising initiatives, the committee seeks to broaden the network of philanthropists, raise money to fund the gaps between government grants, and provide seed funding for new avenues of scientific investigation. Through hosting two events, combined with additional fundraising efforts, more than $520,000 has been raised for research. Dr. Kühn and his team of researchers are focused on cardiomyocytes, the cells of the heart muscle, and discovering ways to make them replicate and proliferate so as to enable the heart to heal itself in cases of heart failure or congenital defects. “Dr. Kühn is one of the leading researchers in heart regeneration and this funding will give him the opportunity to further explore the growth of heart cells and the advancement of treatments for heart failure,” said McGowan Institute for Regenerative Medicine affiliated faculty member David Perlmutter, MD, physician-in-chief and scientific director, Children’s Hospital, and Distinguished Professor and Vira I. Heinz Endowed Chair, Department of Pediatrics, Pitt School of Medicine. A researcher at West Virginia University (WVU) who is a McGowan Institute for Regenerative Medicine affiliated faculty member is studying ways to advance the next generation of cell culture technologies—the removal of stem cells from an organism and the controlled growth of those cells in an engineering environment—that could treat debilitating diseases. Stem cells respond to nanoscale features on the cell culture surface. 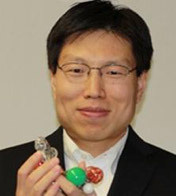 In order to optimize cell culture conditions, Yong Yang, PhD, assistant professor of chemical engineering in the Benjamin M. Statler College of Engineering and Mineral Resources at WVU, is investigating the effect different nanoscale structures have on stem cells. “Conventional cell culture methods using flat, stiff plastic surfaces do not accurately mimic the characteristics of the microenvironment where cells reside inside the human body,” said Dr. Yang, “which cause cell behaviors on such surfaces to deviate from their live counterparts. For instance, skeletal muscle stem cells lose their regenerative potential rapidly on stiff plastic surfaces, but retain their regenerative capacity on soft hydrogels of physiologically relevant stiffness. Dr. Yang’s research uses stem cells derived from human bone marrow to test the hypothesis that stem cells can remember the nanoscale surface information from the previous culture environment and that information can influence the regenerative capacity of stem cells. His work is being supported by a grant from the National Science Foundation. 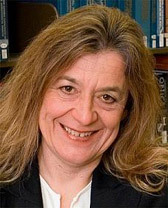 The American Chemical Society (ACS) recently announced that a manuscript by McGowan Institute for Regenerative Medicine affiliated faculty member Anna Balazs, PhD, Distinguished Professor of Chemical Engineering and the Robert v. d. Luft Professor, Department of Chemical & Petroleum Engineering, University of Pittsburgh, published in Langmuir entitled, “Designing Synthetic Microcapsules that Undergo Biomimetic Communication and Autonomous Motion,” has been chosen for an ACS Editors’ Choice from all of the ACS journals. From the paper’s abstract, inspired by the collective behavior of slime molds and amoebas, Dr. Balazs and colleagues designed synthetic cell-like objects that move and self-organize in response to self-generated chemical gradients, thereby exhibiting autochemotaxis. Using computational modeling, the team specifically focused on microcapsules that encompass a permeable shell and are localized on an adhesive surface in solution. Lacking any internal machinery, these spherical, fluid-filled shells might resemble the earliest protocells. These microcapsules do, however, encase particles that can diffuse through the outer shell and into the surrounding fluid. McGowan Institute for Regenerative Medicine faculty member Marina Kameneva, PhD, Research Professor of Surgery at the University of Pittsburgh School of Medicine, Professor of Bioengineering, and Director of the Artificial Blood Program at the McGowan Institute, and McGowan Institute affiliated faculty member Jonathan Waters, MD, Professor in the Department of Anesthesiology in the University of Pittsburgh School of Medicine, Professor in the Department of Bioengineering, Chief of Anesthesia Services at Magee Womens Hospital of UPMC, and the Medical Director in the Blood Management Division of Procirca, Inc., are members of the team of researchers who were recently awarded a Center for Medical Innovation (CMI) grant for their project, “Reducing alloimmunization and sickle crisis in sickle cell disease patients using a novel method of replacing HbS with donor Hb in autologous RBCs.” The focus of this effort is to develop a novel method for treating sickle cell anemia. Mark Gartner, PhD, in the Department of Bioengineering at Pitt, is also a member of the team. 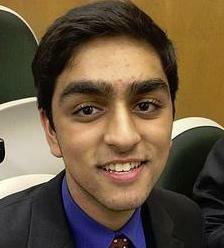 The University of Pittsburgh Cancer Institute (UPCI) and Pitt’s School of Medicine and Graduate School of Public Health have received a 5-year, $18 million grant from the National Institute of Allergy and Infectious Diseases (NIAID) to continue work developing drugs that could provide protection from radiation in emergencies such as terrorism or reactor meltdowns. McGowan Institute for Regenerative Medicine affiliated faculty member Valerian Kagan, PhD, Professor and Vice-Chairman in the Department of Environmental and Occupational Health, is a project leader. McGowan Institute for Regenerative Medicine affiliated faculty members Simon Watkins, PhD, Founder and Director of the Center for Biologic Imaging at the University of Pittsburgh, and Ivet Bahar, PhD, Distinguished Professor, the John K. Vries Chair, and the Founding Chair in the Department of Computational and Systems Biology at the University of Pittsburgh’s School of Medicine, are core leaders. 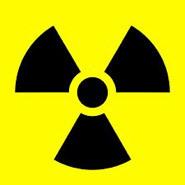 In its first 10 years, the CMCR has developed and patented two drugs to mitigate the effects of radiation on the body. In this next phase of study, researchers will be looking at ways to administer these drugs individually or in combination using microneedle arrays. Also, they will be working to develop new drugs based on the innovative concept of radiation triggered disease rather than acute injury. The CMCR consists of four projects and six cores led by a multidisciplinary group of researchers representing Pitt’s School of Medicine and the departments of Critical Care Medicine, Computational Biology, Radiation Oncology, Dermatology, and the Pitt Graduate School of Public Health. The project leaders are Dr. Kagan; Hülya Bayır, MD; and Jian Yu, PhD. The cores are directed by Michael Epperly, PhD; Dr. Watkins; Peter Wipf, PhD, Dr. Bahar; Yulia Tyurina, PhD; Detcho Stoyanovsky, PhD, and Hong Wang, PhD. McGowan Institute for Regenerative Medicine Director William Wagner, PhD, Professor of Surgery, Bioengineering, and Chemical Engineering at the University of Pittsburgh, has been named a Fellow of the Tissue Engineering and Regenerative Medicine International Society (TERMIS). Dr. Wagner received this honor, presented by McGowan Institute Deputy Director Stephen Badylak, DVM, PhD, MD, during the 2015 4th TERMIS World Congress recently held in Boston, Massachusetts. Dr. Wagner’s research interests address medical device biocompatibility and design, tissue engineering, and targeted imaging. Dr. Wagner and his group enjoy working across the spectrum from in vitro to clinical studies. Dr. Wagner also serves as the Deputy Director of the NSF Engineering Research Center on “Revolutionizing Metallic Biomaterials.” He holds a BS (Johns Hopkins Univ.) and PhD (Univ. of Texas) in Chemical Engineering. Dr. Wagner is the Coordinator for the Cellular and Organ Engineering track for Bioengineering graduate students, and currently teaches in the areas of biomaterials and tissue engineering. Dr. Wagner is the Founding Editor and Editor-in-Chief of one of the leading biomaterials journals, Acta Biomaterialia, and currently serves on the editorial boards of the Journal of Biomedical Materials Research Part A, Biotechnology and Bioengineering, and the Journal of Tissue Engineering and Regenerative Medicine. Dr. Wagner is also a past president of the American Society for Artificial Internal Organs (ASAIO; 2010-2011) and serves on the Executive Board of the International Federation of Artificial Organs (IFAO). 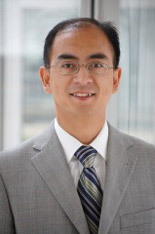 He is a fellow and former vice president of the American Institute for Medical and Biological Engineering (AIMBE; 2000) and has also been elected a fellow of the Biomedical Engineering Society (2007), the International Union of Societies for Biomaterials Science and Engineering (2008), and the American Heart Association (2001). He has served as Chairman for the Gordon Research Conference on Biomaterials: Biocompatibility & Tissue Engineering, as well as for the First World Congress of TERMIS. In 2006 he was selected to the “Scientific American 50,” the magazine’s annual list recognizing leaders in science and technology from the research, business, and policy fields. In 2011 he was awarded the Society for Biomaterials Clemson Award for Applied Research. He has served on numerous NIH and NSF study sections, is a member of the NIH College of Reviewers, and has been a member of external review committees for national and international organizations focused on bioengineering and regenerative medicine. His research has generated numerous patents and patent filings that have resulted in licensing activity, the formation of a company, and University of Pittsburgh Innovator Awards in 2007, 2008, 2009, and 2010. To accomplish its mission, TERMIS brings together the international community of persons engaged or interested in the field of tissue engineering and regenerative medicine and promotes education and research within the field of tissue engineering and regenerative medicine through regular meetings, publications, and other forms of communication. 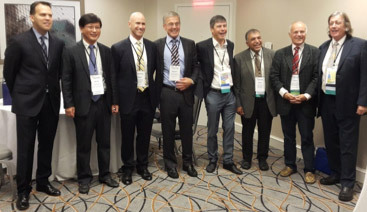 The Society also serves as an international forum to promote the informed discussion of challenges and therapeutic benefits of the application of tissue engineering and regenerative medicine technologies. #151 –– Dr. Kelly LaMarco is the Senior Editor and Co-Founder of Science Translational Medicine. Dr. LaMarco discusses the Five Gaps of translational medicine. 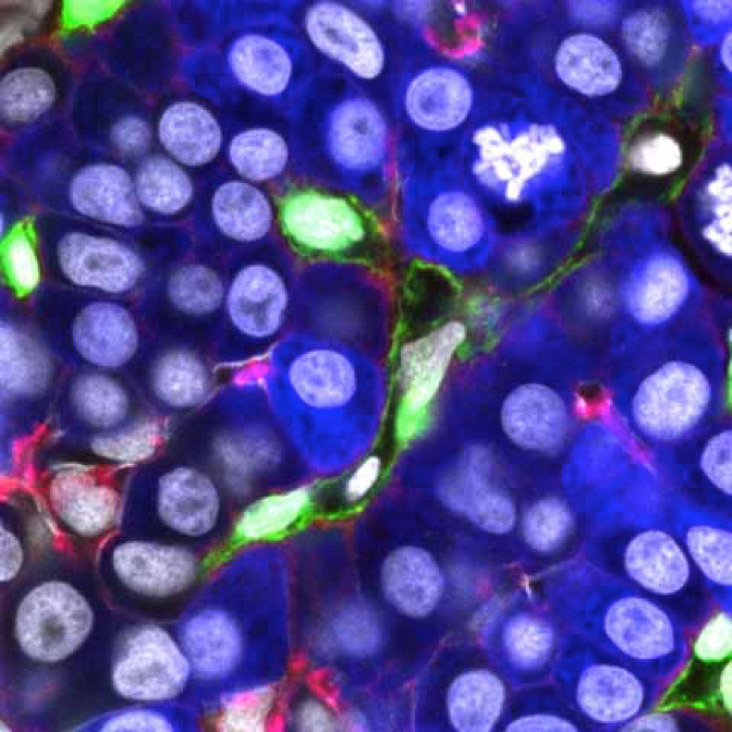 Short description: the zebrafish liver at 76 hours post-fertilization showing Kdrl:GFP (green, endothelial cells) and fabp10a:DsRed (blue, hepatocytes) expression with Hoechst 33342 (grey, nuclei) and phalloidin (red, F-actin) staining. Biliary epithelial cells in the liver strongly express F-actin. Image by Dr, Juhoon So in Dr. Donghun Shin’s Lab.